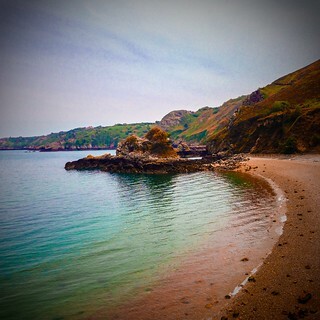 Nestled in the north of Jersey is the delightful Bouley Bay. Well worth the walk, cycle or in our case drive, down the twisty cliff road. Once there you can enjoy a drink and food at the wonderful Mad Mary's Cafe.